Green space means any area that is proposed to contain trees, ground-cover, shrubs, urban agriculture, natural grass/turf, or vegetated roofs. 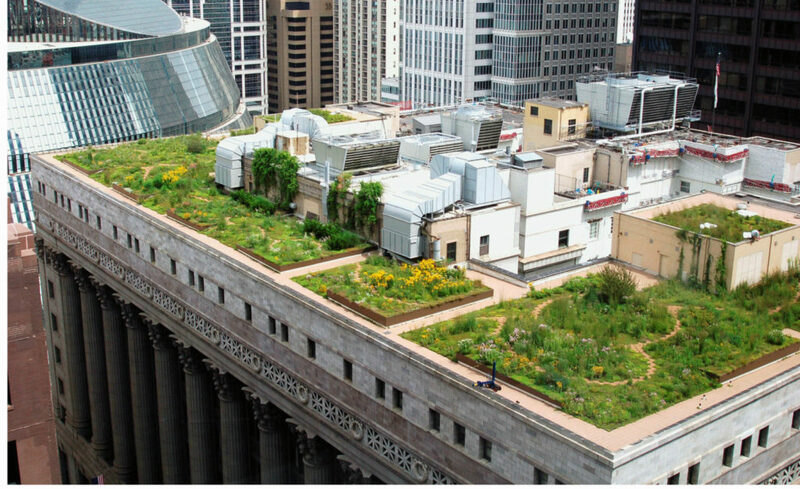 Vegetated roof means an assembly of interacting components designed to waterproof and normally insulate a building’s top surface that includes, by design, vegetation and related landscape elements. 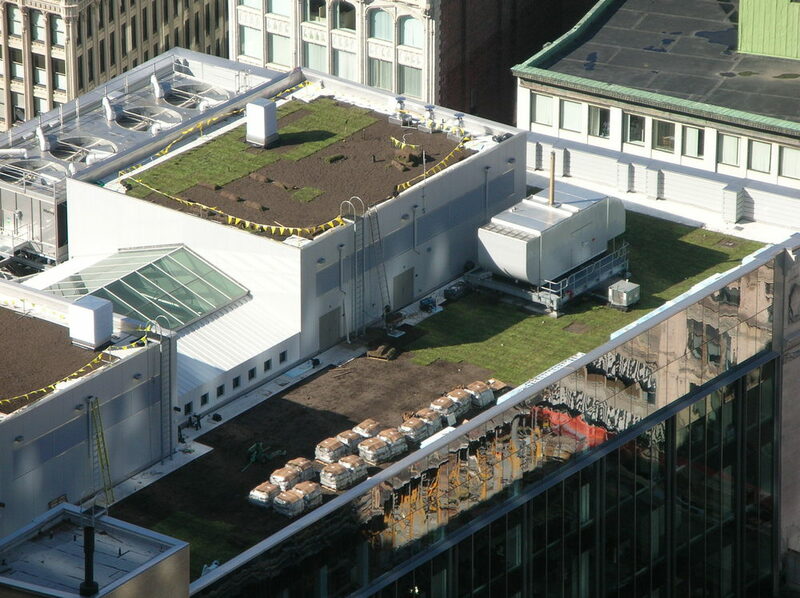 Solar energy panels can be part of your green roof system. 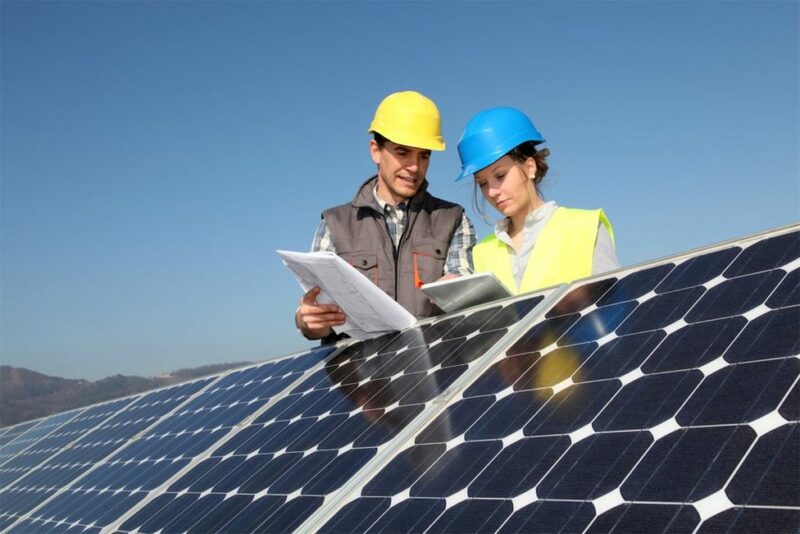 In certain cases your solar panels can be installed on the ground and not the rooftop. Most of your roof will need to be Cool Roofing even if solar panels are installed above it. Cool roof means a roof, or portion of a roof, containing roof covering materials meeting certain solar reflectance values that mitigate or assist in reducing urban heat island effect. TPO, Spray Polyurethane Foam, and white EPDM all meet this criteria. Silicone coatings can be applied over black EPDM to make it a cool roof. Top That Commercial Roofing are experts at cool roofs especially spray foam roofs. If your current roof is dark we might be able to convert it to a cool roof easily without replacing your current roof. Call us for an inspection and estimate.